On 10 October 2014, the Enfield Citadel Band (Bandmaster Jonathan Corry) presented its 68th annual Pre-Contest Festival. 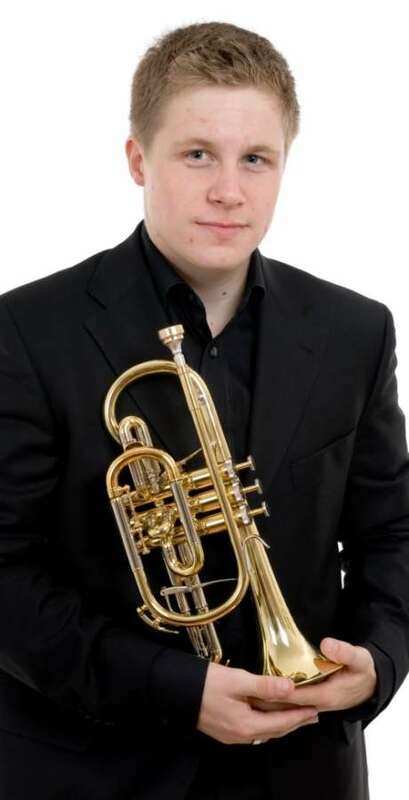 Guest soloist for this year’s concert was Philip Cobb, principal trumpet of the London Symphony Orchestra. The event, which was compèred by Paul Hindmarsh, was also a tribute to retired Bandmaster James Williams MBE, celebrating his 70 years of association with Enfield Citadel Band. The concert was held in Amaryllis Fleming Concert Hall at the Royal College of Music. The concert began with two contrasting items, Salvation’s Song (William Gordon) and I Know a Fount (Thomas Rive), followed by prayer and introductions. The band then presented a recent work, Martin Cordner’s Songs of Ascent. The guest soloist, Philip Cobb, was next with his first of four offerings for the evening, William Himes’ Jubilance. After a classical interlude from the band with Poem (Zden&ecaron;k Fibich, arr. Ray Steadman-Allen), Cobb returned with Variations on Wondrous Day (Paul Sharman). The first half concluded with a major work for the band, Festivity (Leslie Condon). The second half commenced with Morley Calvert’s well-loved Canadian Folk Song Suite. After this, Philip Cobb presented Happy All the Day (Erik Leidzén). The band’s cornet and trombone sections were featured in a double quartet, Never Give Up! before Cobb returned for his final feature item, Dark Haired Marie (Goff Richards). A Bible reading was given by Captain Martin Cordner, a composition of whose was played in the first half. This was followed by In This Quiet Moment (Ivor Bosanko). The concert concluded with another major work, one of the great classics of Salvation Army brass band literature, Dean Goffin’s masterpiece Symphony of Thanksgiving. This article was posted in News and tagged concert, Enfield Citadel Band, James Williams, Jonathan Corry, Martin Cordner, Paul Hindmarsh, Philip Cobb, Pre-Contest Festival on 24 November 2014 .